My kids have loved learning about Earth Day (and Earth month!) 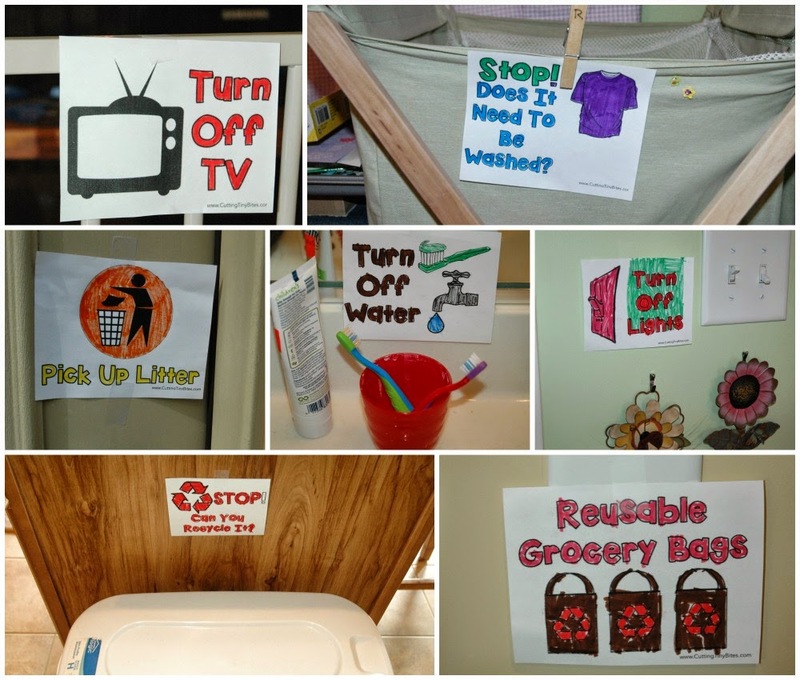 so I wanted to make them something to help them remember all the little things that they can do on a daily basis around the house to be kind to the earth. These Earth Day action reminder cards are just the ticket. Since I have a pre-reader and an early-reader, I included pictures to help them both understand the 'actions' that they should try to remember! You'll also find a color version and a black and white version that your kids can color in themselves. 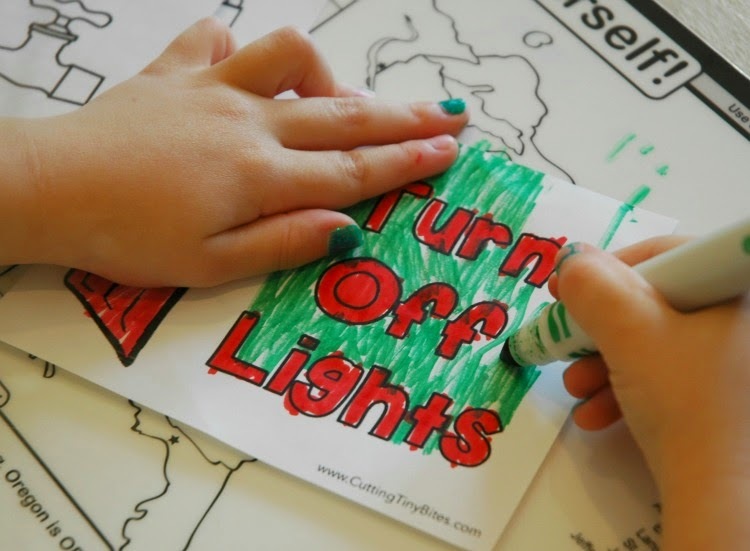 Print your cards, cut them out, color them, laminate them and tape or clip them up around your house in places that will help your kids remember all the Earth-friendly things they can do. Turn off the television when not in use. Think about whether or not an article of clothing is actually dirty before it goes in the hamper (my girls can easily go through 3 or 4 outfits a day and if we're not careful they ALL end up in the wash). Turn off the water during teeth brushing. Think about whether or not something can go in the recycle bin before it gets thrown away. 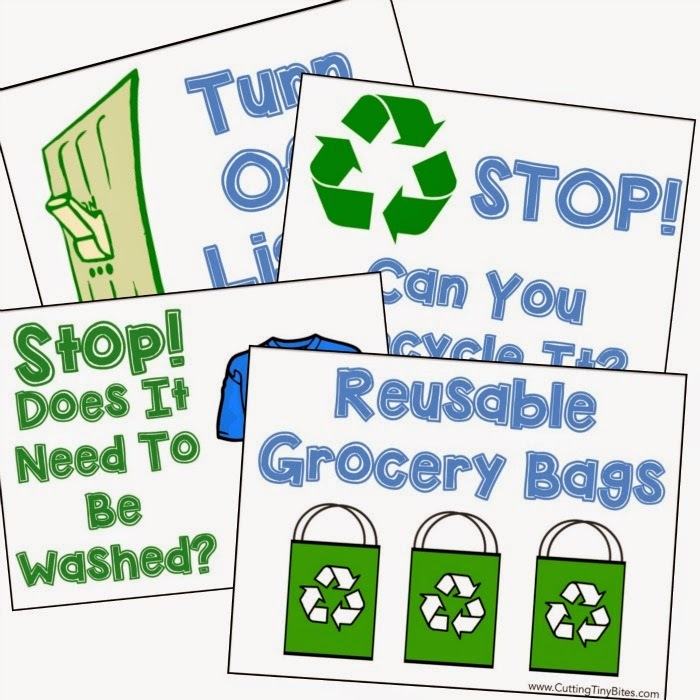 Grab the reusable grocery bags as we head out the door on errands. Take a shorter shower, or generally conserve water while bathing. As Lena colored in the cards, I talked about each of the actions and how they helped the earth. She loved taping them around the house, and has LOVED reminding me of everything we need to be doing! Printable cards you can tape around your house to remind kids of actions they can do to be kind to the earth. Perfect for Earth Day!